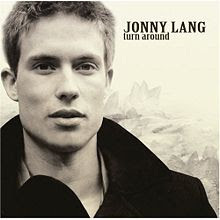 Meet Jonny Lang, Grammy-award-winning blues guitarist, singer, and poet. Here are the lyrics (emphasis in bold is mine) from his powerful song about Life Purpose called One Person At A Time. Now, let’s look at Jonny’s hands. This is the best picture I could find of Jonny’s hands. I couldn’t find a single image of him waving to the crowd (if you do, will you let me know?) so we’ll make do with what we’ve got! Jonny is a testament to someone pouring his entire being into developing and sharing his gifts. He has played on stage with Sting, The Rolling Stones, and Aerosmith, among others. He is internationally acclaimed for his extraordinary voice, which has been compared to that of a “40-year-old blues veteran.” [Source: Wikipedia] His hands are perfectly suited for the profession that spoke to him when he first heard the Bad Medicine Blues Band play at the age of 12. Jonny’s hands are a combination of ‘earth’ and ‘air’ energy. Earth hands have square palms and a good deal of physical strength. Earth energy is loyal, dependable, orderly and private. Earthy folks need a lot of personal freedom; in other words, Jonny likely treasures his alone time for contemplating and creating his music, that is, when he’s not rehearsing with the band or playing on stage. However, his fingers are longer than you would find on an average earth hand, lending him the energy of ‘air.’ Air is fair, compassionate, understanding, and seeks divine connection. This type of hybrid hand is IDEAL for playing the guitar – the combination of strength with long fingers helps with the technical aspects of holding down the strings and also playing with great speed. From a spiritual perspective, Jonny is able to ‘ground’ his ‘inspiration’ through music. Jonny began playing the guitar at 12 and released his first album at 13. He went multi-platinum at age 15 with his soulful album Lie To Me. The ‘air’ in his hands makes him thoughtful, romantic and caring. To wit – he’s been with the same woman, who is now his wife, Haylie, for 7 years. Jonny is now 27, born January 29, 1981. Jonny also has long, tapering thumbs, indicating sensitivity and tact. Even in the small picture, his thumbs are large and well-formed, indicating extraordinary will power and the capacity to fulfill his ambitions. 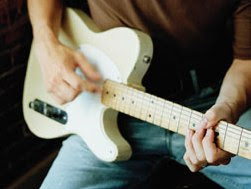 Within three months of learning to play the guitar, he was playing with a traveling band.